With Love from Lohr: First Holy Communion in Lohr am Main. First Holy Communion in Lohr am Main. 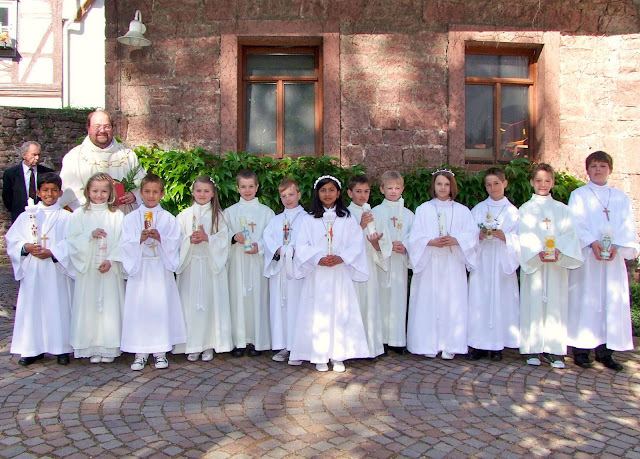 The children of St Michael's Kirche, Lohr am Main, received their First Holy Communion on the 8th of May 2011. As the parents of two children receiving this Blessed Sacrament, it was not only a day of great joy for us, but also a day where we got together with friends to celebrate. The hangover of the entire event is slowly wearing off.. So till I get my groove back, here is a shot for you all to see. Don't they look divine like angels?? Congratulations to your two children. They look so sweet! I remember my daughter's like it was yesterday! Why was that date chosen, is it an important day in the Catholic calendar? I my country children normally do it on the 8th of Dec., the day of the Immaculate Conception of Mary. When your child receives the feeling of pride is unbelievable isn't it??? 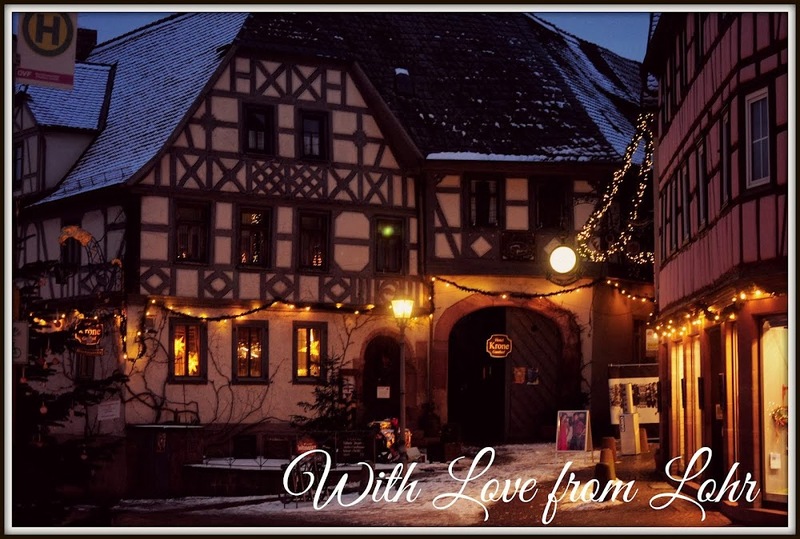 Very nice blog and pictures. Congratulations to all the children celebrating their first Holy Communion. Are you able to remind me of the German phrase for this day? The translation is something about it being the most beautiful day. Thank you! Anyway, I was saying that the kids do indeed look like angels! I also wanted to ask you why was the First Communion celebrated on 8th May there, if it was a special religious day? In Argentina First Communions are normally celebrated on 8th Dec.
PS: I've posted a link to my bread pudding recipe on my blog, if you are interested!